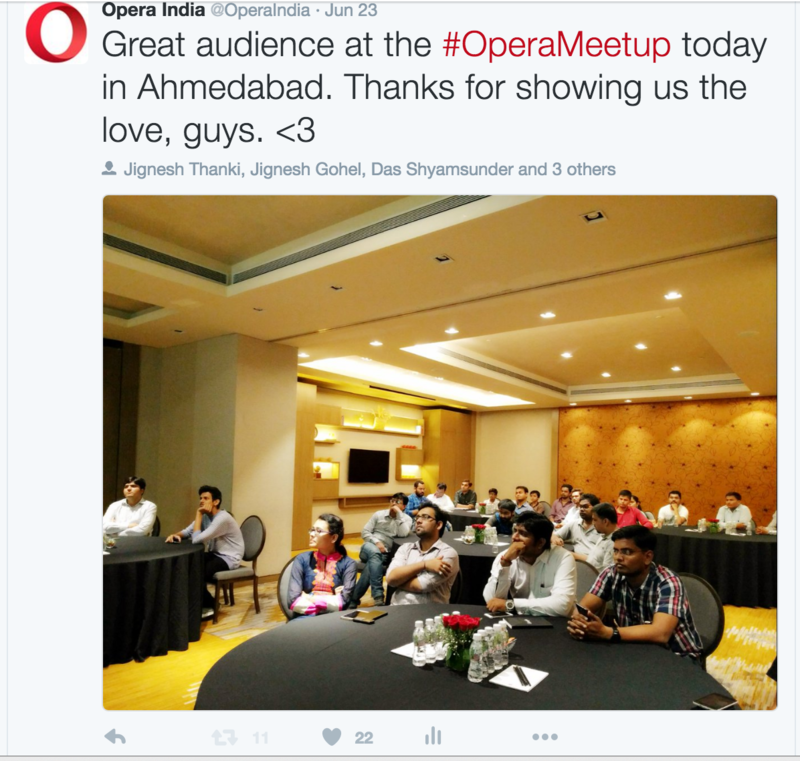 So, with much gung-ho and hype, we landed in Ahmedabad city for our first Opera meetup in the vibrant state of Gujarat. Ahmedabad, the land of fafdas and theplas? Nah. Ahmedabad, the city of tech-savvy folks. 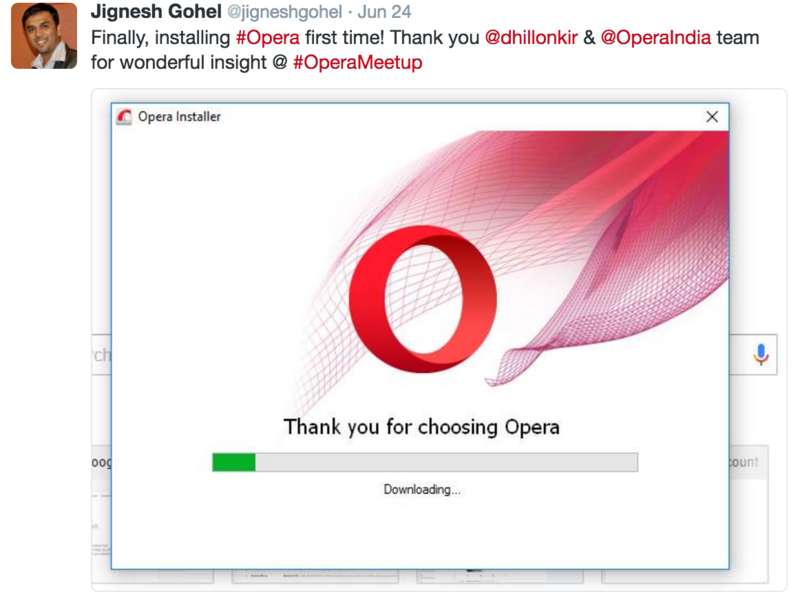 Yes, we are looking at you, Opera users. With the ever-evolving technological environment, the need to break through the internet screens and meet our users in real life to build a one-to-one connection is important. 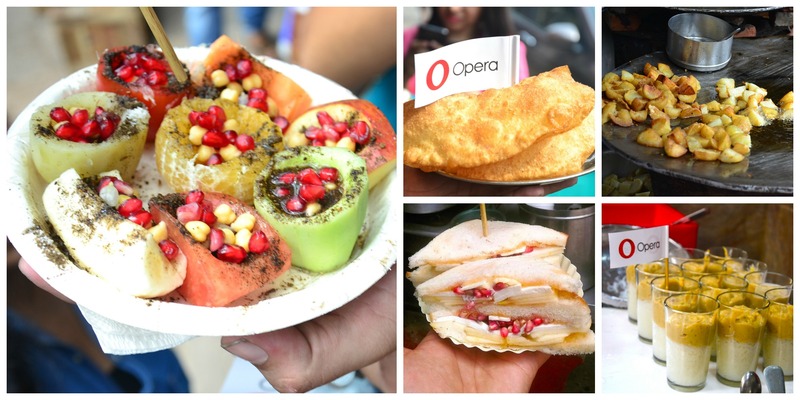 Guess what, we got just that and more from our meetup with users on the 23rd of June in Ahmedabad, Gujarat. 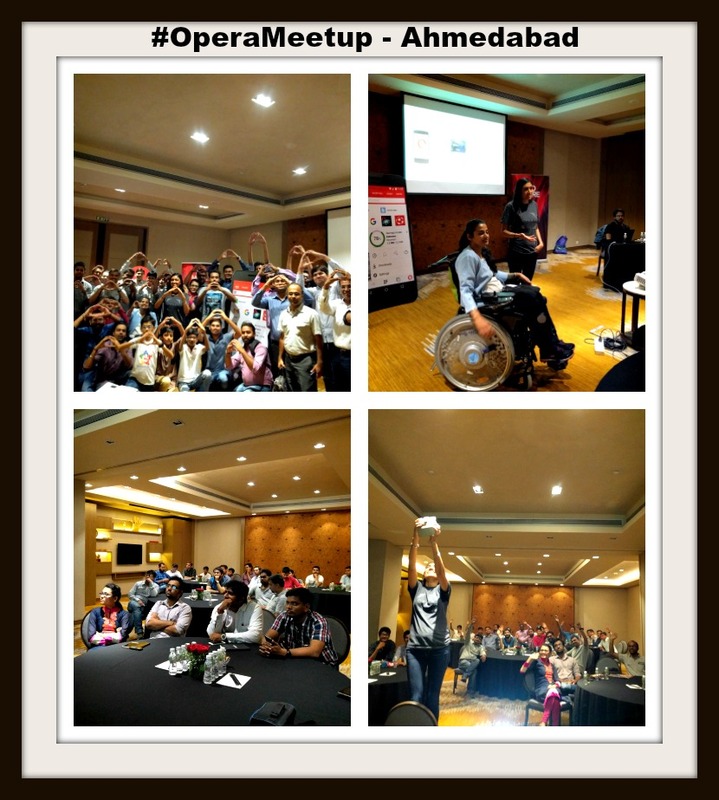 Come, let’s take you through the #OperaMeetup ride. Why Ahmedabad and not Delhi/Mumbai/Bangalore? A question we were asked quite often: “Why Ahmedabad?”. Located on the banks of the iconic Sabarmati River, Ahmedabad has one of the highest literacy rates in the country. 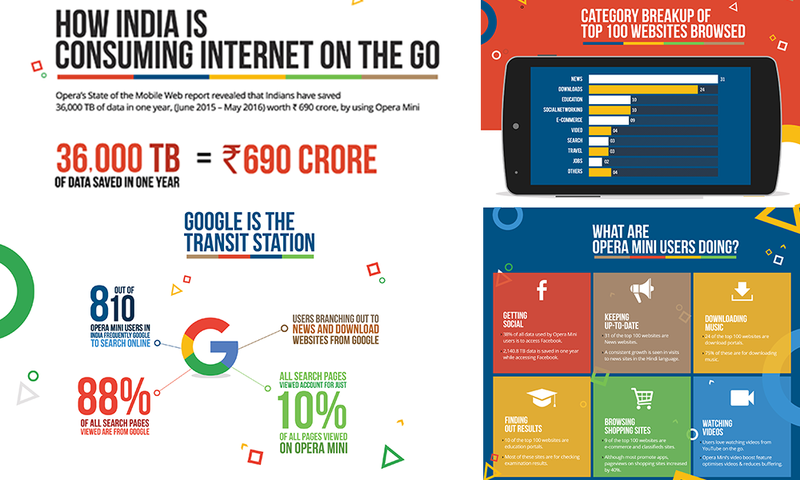 It’s also one of the top 7 cities in India when it comes to usage of mobile internet. 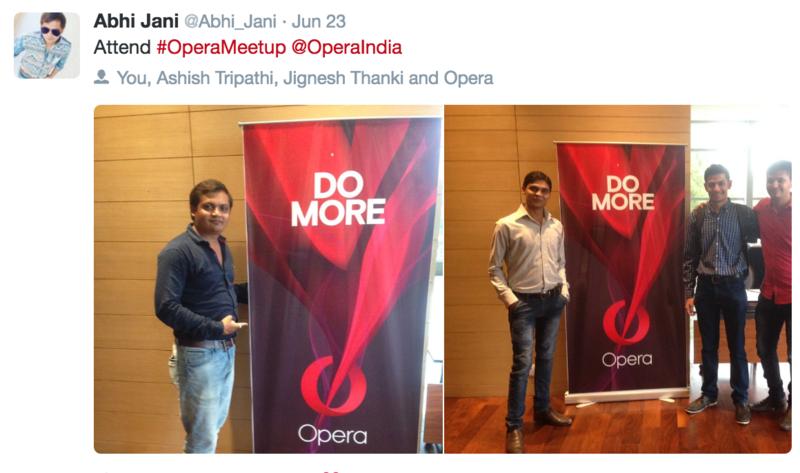 With Opera being one of the world’s most popular browsers (Read: fastest too), this meeting of the big “O” and the big “A” was long due! And, so it started, from Opera’s apps to its compression technology to internet privacy, the engaging questions from our audience surely made the entire experience worth it. The one who stole the show! 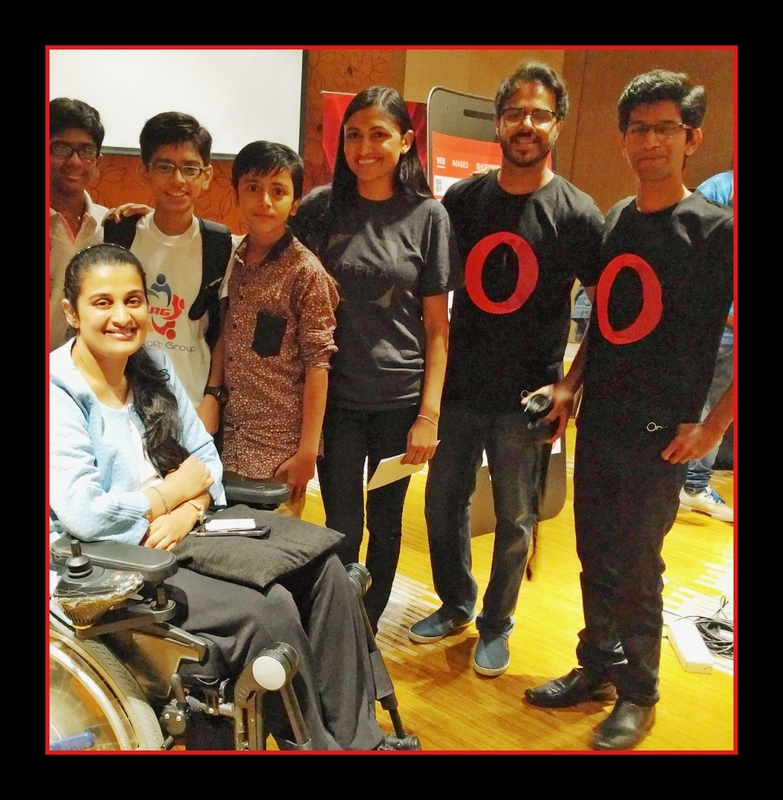 The star of the evening, who gave us all some serious #LifeGoals, was 14-year-old Harshwardhan Zala and his Aerobotics 7 team (seen in the picture below). These young achievers have created their own web browser – yep you heard it right, a web browser. But, it doesn’t end here; they’ve also come up with an app that lets you control your home devices with the click of a button. 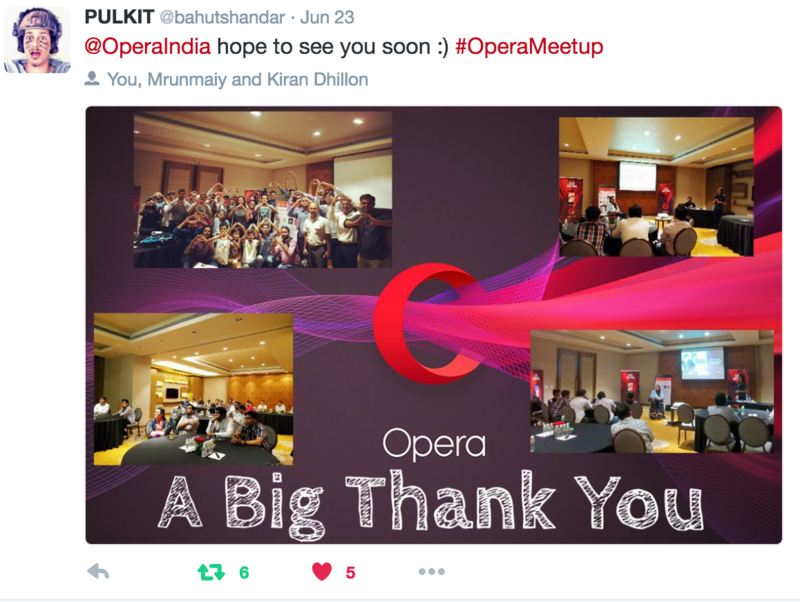 Meeting such inspiring figures is the core of Opera’s vision – to do more and give the world a better internet experience. Also, have we mentioned, we love competition? It keeps us on our toes! 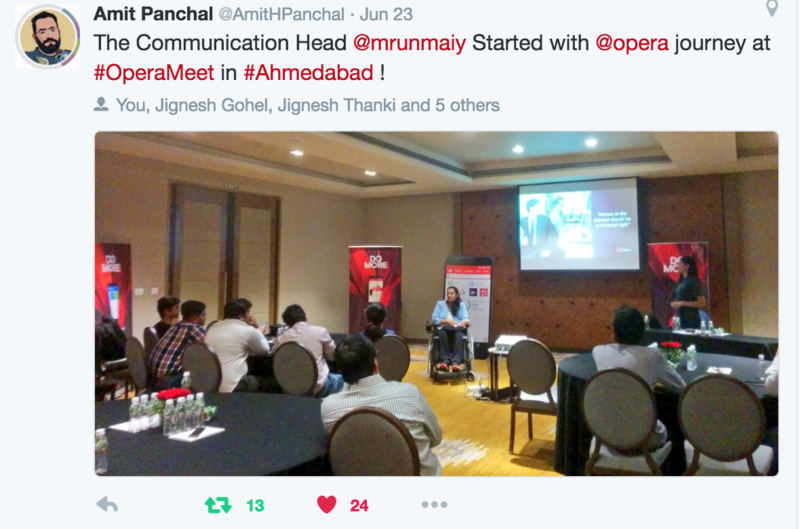 So, thank you, Ahmedabad, for these amazing stories and your feedback. Be it good or bad, we are listening! And, for fans asking us if there’s going to be a meetup in your city, please stay connected to us via Twitter and Facebook – we’ll meet you soon.